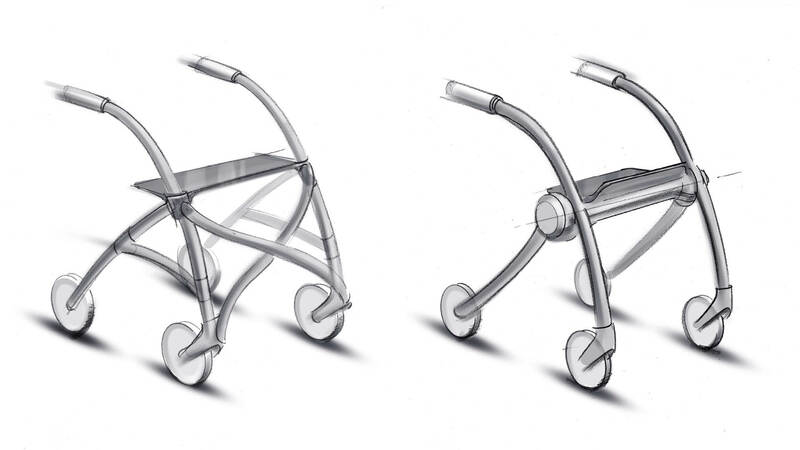 Most of today’s walkers are clunky devices with functionality that can be frustrating. Foray Design came to ION to develop a game-changing alternative. 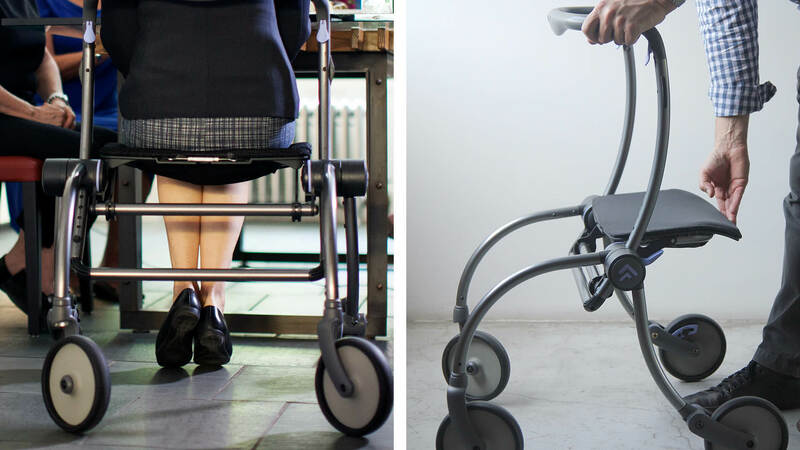 The result is Spring – an elegant mobility aid for any person with physical limitations aspiring to be dignified and independent. 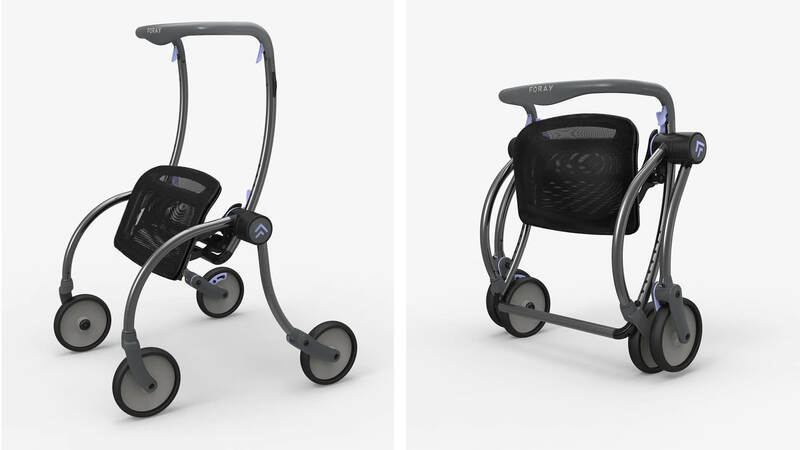 Spring features a unique braking system that senses your body weight and moves when you move. 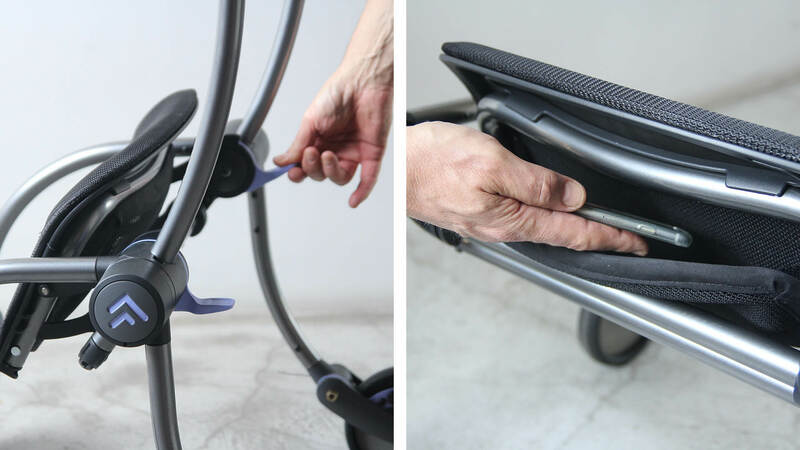 It has a stow-able, tensioned fabric seat that evokes the comfort and sophistication of an office chair with an easy to adjust handlebar that doubles as a backrest. There is also storage underneath the seat for the small items you might need an extra pocket for. When it’s time to transport or store it, Spring folds into less than half the size of competing products with a fraction of the effort.